LinkBack Thread Tools Rating: Thread Rating: 9 votes, 4.89 average. 67k Miles on original CVT and Differential fluids. Mainly highway miles with occasional towing. I decided to take the plunge and change the fluids myself. After several hours of research, I discovered Redline CVT fluid. It is Subaru certified and for use with metal CVT belts/chains. There seems to be a lot of questions on how to change the CVT and Diff fluids so I thought I would share my experience and what I learned. I'll report back if I have any issues or learnings. Manual says total capacity is 12.7-13.2 qts, I drained ~6.0 qts and filled with ~5.5qts. -You must check the level with the car level, idling, and in park at operating temperature. I have a 4-post lift which makes it easy to do. -10mm Hex required for fill Plug, 36.9 ft-lb. -8mm Hex required for drain Plug, 14.8 ft-lb. 1. Remove fill Plug. Since my fluid was warm and not hot, some fluid drained after removing. 2. 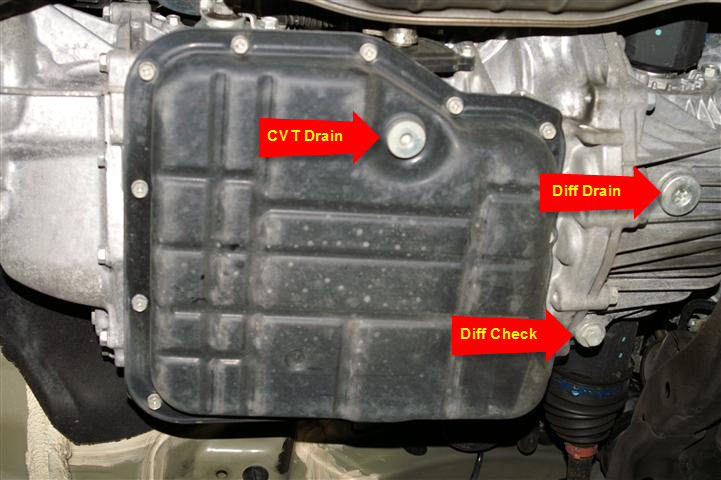 Remove drain Plug and drain remaining fluid. 3. Re-install drain plug and torque to 14.8 ft-lb. 4. Fill via fill hole until fluid runs out. 5. Install fill Plug and tighten. 6. Start and idle vehicle to warm fluid. Cycle transmission through all positions. 7. Check fluid level and fill if required. Torque Fill plug to 36.9 ft-lb. -Manual says capacity is 1.4-1.6 qts, I drained ~1.5 qts and filled with the same amount. 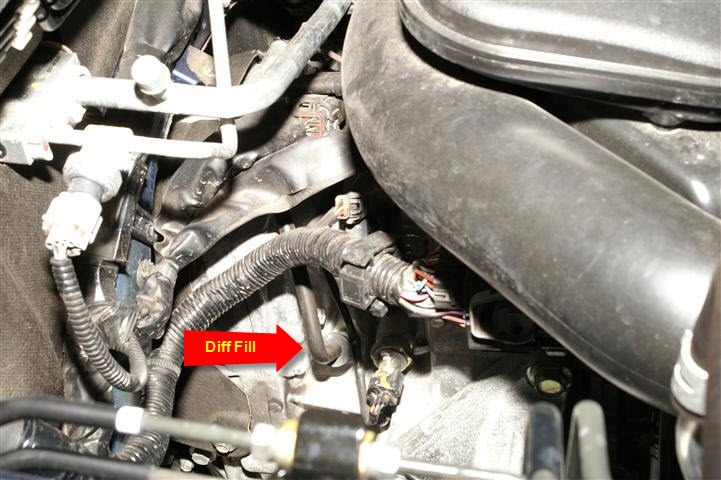 -Fill via vent hose accessible from engine compartment. 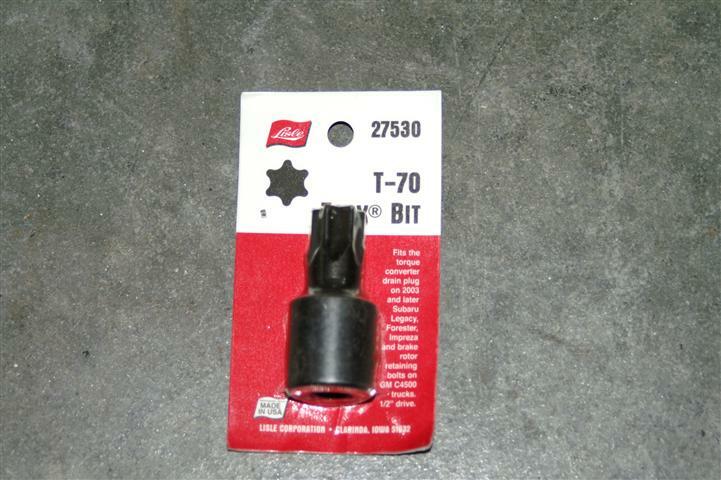 -T70 Torx for Drain Plug, 51.6 ft-lb. - 14mm socket for fluid check plug, 25.8 ft-lb. 1. Remove vent hose prior to draining. 2. 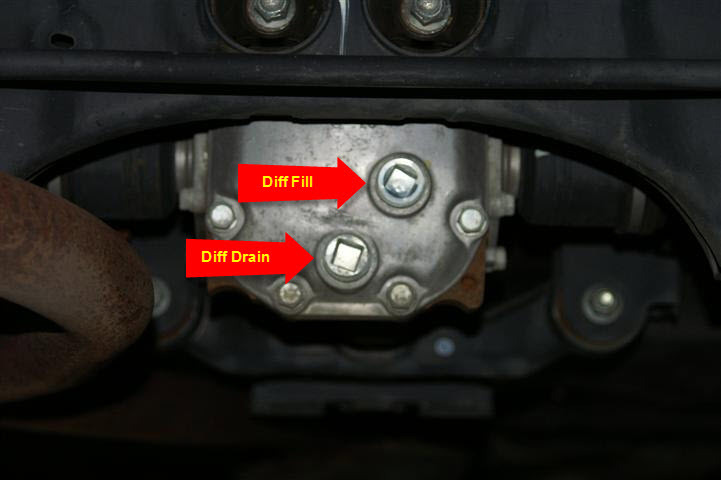 Remove drain plug and drain fluid. 3. Remove fluid check plug. 4. 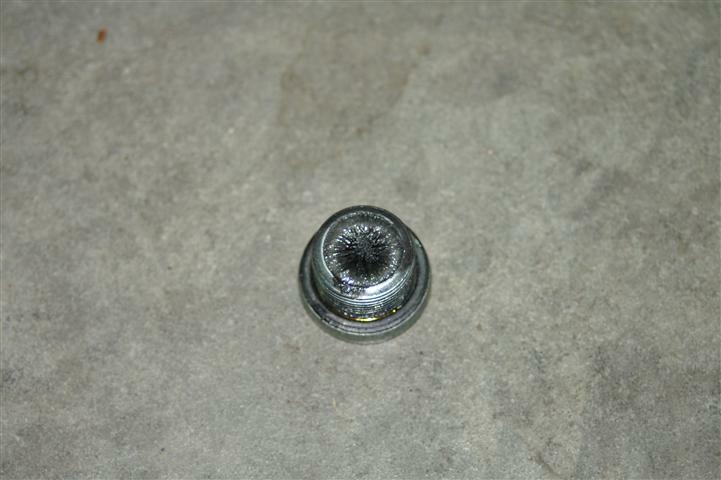 Clean drain plug of any metal. 5. Re-install drain plug and torque to 51.6 ft-lb. 6. Fill with 1.5 qts till check fill overflows. 6. Re-install fluid check plug and torque to 25.8 ft-lb. -Manual says capacity is 0.8 qts, I drained ~0.75 qts and filled about the same amount. -13mm Square for Fill Plug, 36.1 ft-lb. -13mm Square for Drain Plug, 36.1 ft-lb. -I used a 1/2" drive ratchet but a 13mm socket is on order. 3. 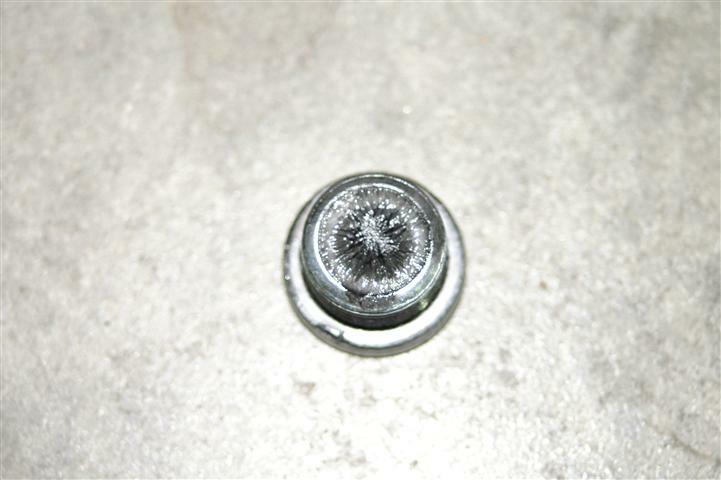 Clean drain plug of any metal. 4. Re-install drain plug and torque to 36.1 ft-lb. 5. 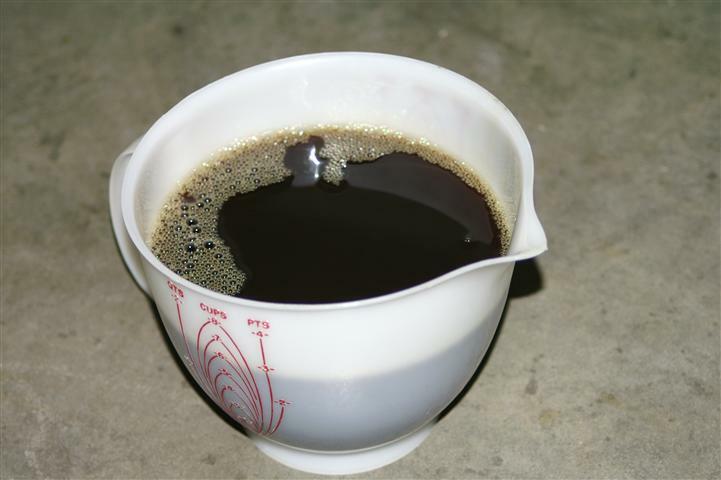 Fill via fill hole until fluid runs out. 6. Install fill plug and torque to 36.1 ft-lb. immortal_suby, GBMaryland, thundr56 and 10 others like this. Great write up. Was wondering about doing this on my wife's '10 Outback with the CVT. Quick question, for the front diff change. Is there a bolt to remove after you take that hose off or just straight through the connector that the hose was on? What did you use to fill with regards to funnel, etc? Not trying to second guess you because it looks like you bought quality stuff but I thought the subaru cvt had a chain and not a "belt" in the CVT? Thanks. Chain or metal belt? Same difference? Any reason you didn't use the Subaru cvt fluid? Also, thank you for the write-ups. Last I checked, the subaru fluid was only available in 5gal buckets and it was hard to find online. Plus, shipping would be high. I tried to get one dealer to change my fluid and they said it did not need it without even looking or checking. I asked if I could buy it and they would not sell it to me. Yeah, maybe I should try another dealer but I'd rather not waste my time. Speaking of CVTs, aren't all some belt type or another. Subaru uses metal and Nissan uses composite. Not sure about the others. Maybe chain is not the "right" word? I think the big issue is whether the belt/chain is metal or composite. 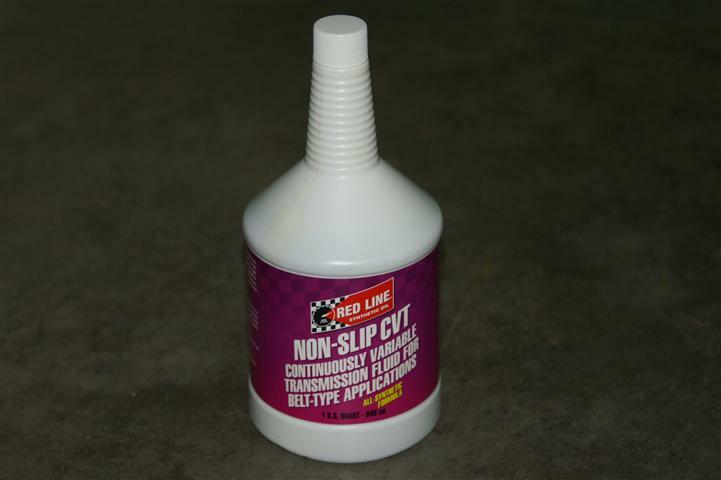 The redline fluid specifically mentions "metal" and is subaru certified. I am comfortable using it. We'll see how the long term goes. I will add the specs when I find the label. No bolt, just a plastic plug with a hose attached. It pulls right off with a slight tug; like pulling the engine dip stick out. 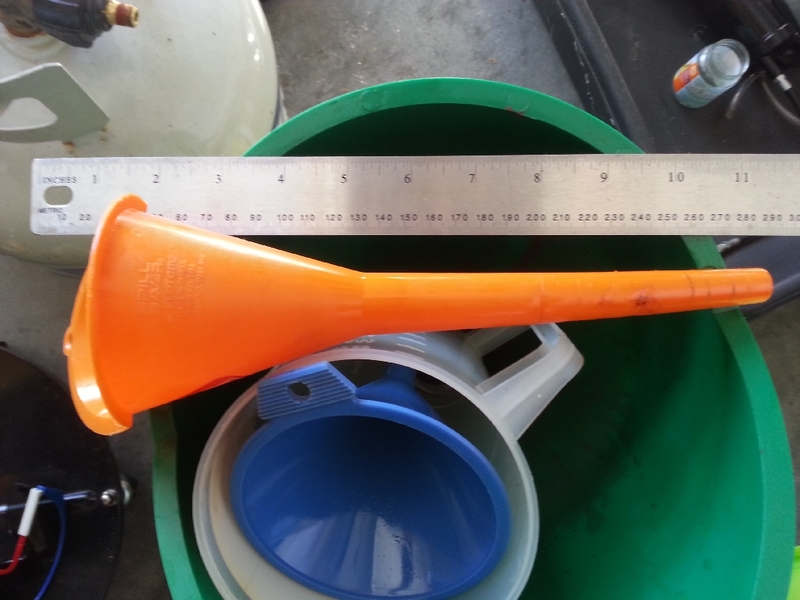 I used a small funnel with a long spout which is flexible. It worked great and i was able to pour straight out of the redline bottles. Next time I do it, I will have hex sockets and a fluid pump to fill the CVT. 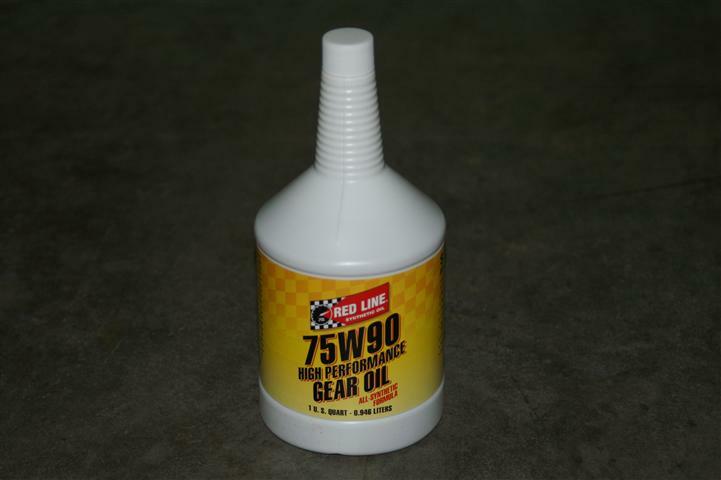 I had to use an old gear oil bottle and was only able to fill using 1/2 of the bottle at a time. 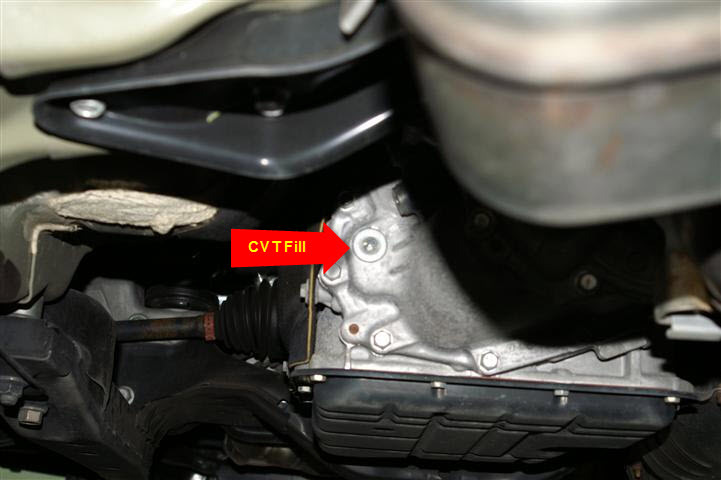 Also, you must check the CVT fluid level on level ground while the car is idling at normal operating temp. I had to put ~1qt more after I ran the car for a while.